One of football’s true originals has passed following a battle with cancer. Johan Cruyff, one of the architects of total football and the man cited as a major influence on tiki-taka, has died aged 68. The Dutch football genius was diagnosed with lung cancer last October, with a statement on Cruyff’s official website today confirming the sad news of his death. A World Cup finalist with Holland in 1974, where the Netherlands’ style of total football wowed fans of every nation, Cruyff also invented his own turn on the ball, which remains popular over 40 years later. Over the course of a 20-year playing career, Cruyff won countless trophies, first with Ajax and later at Barcelona playing a combined total of over 400 games for the clubs. Cruyff magic A compilation of Cruyff's most memorable skills. 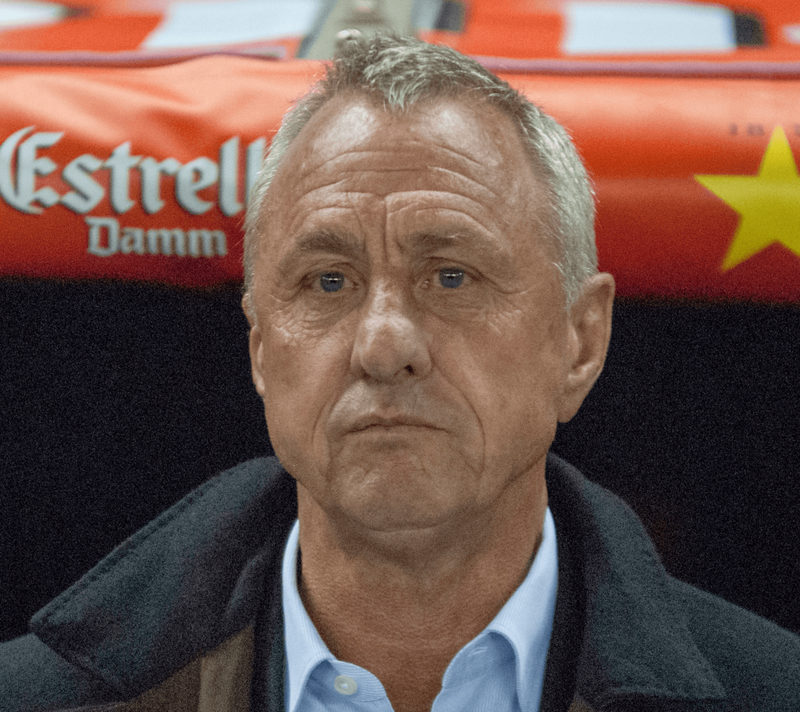 Having won the European Cup as a player with Ajax, Cruyff also delivered four back-to-back La Liga titles along with a first ever European Cup during his time as Barcelona manager. It was during that time that the Dutch coach also fashioned the famous Barcelona ‘dream team’ featuring players like Romario, Hristo Stoichkov, Michael Laudrup and Ronald Koeman. An influential voice at both Ajax and Barcelona in his later years, many cite Cruyff as the true architect of the tiki-taka approach to the beautiful game that has since been adopted by both Barca and the Spanish national side. A true innovator in every sense of the word, Cruyff also spent time in the later years of his career in America’s Major League Soccer and was a globally recognised football icon on a par with the likes of Pele and Diego Maradona. Having passed away following a short battle with illness, he will be sorely missed by football fans the world over.